Power: > Neon is electric with standard plug AC adapter, included. Please note: The image on the clock face is a photograph of a neon sign, not real lighted-up neon. > The center picture on the clock does not light up. 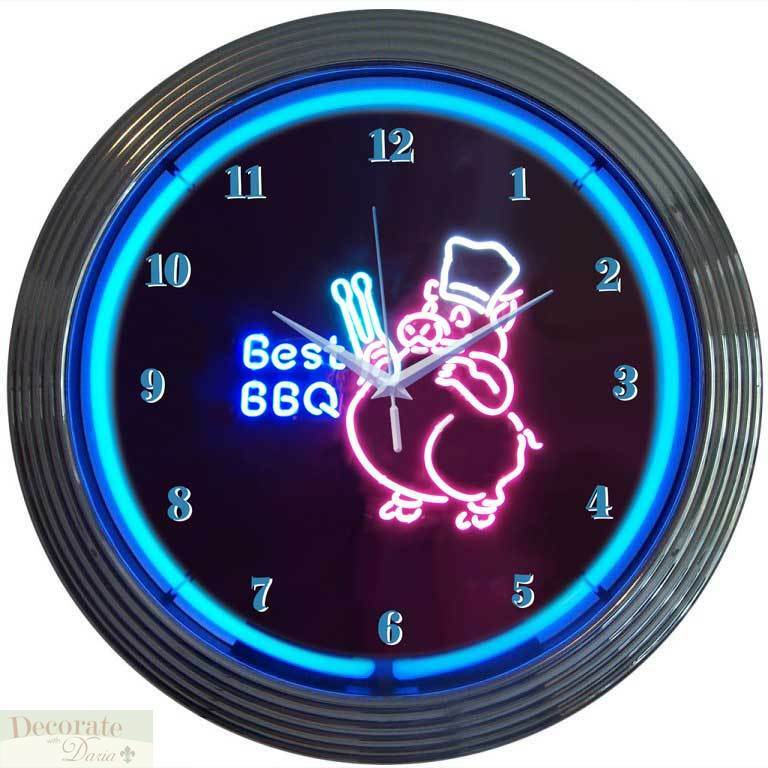 The only real neon you will receive is the single circular ring of neon around the clock face itself. Made in China, but designed, licensed, serviced in and shipped from the USA by Neonetics, Inc. Fully licensed by FCA US LLC through Neonetics Inc. Since 1989, Neonetics has offered hundreds of different neon light inspired products. Our extensive collection of framed prints, clocks, sculptures and signs are given a colorful edge with neon lights and L.E.D. accents. We are proud to produce an extensive line of branded licensed products. Our licensing partners include Anheuser-Busch, Coca-Cola, Ford, General Motors, Fiat Chrysler Automobiles, Mopar and Texaco. Committed to excellence and customer satisfaction, our innovative and creative products set us apart from others and we are focused on bringing the fun of neon into your home or business! Corporate Headquarters in, Hampstead, MD. Neon signs are made the same way since the invention of neon lighting in 1903. Each sign takes about 2 man days to make and each neon sign is made up of between 5 and 12 hand blown neon tubes. All neon tubes start out as 4 foot straight raw tubes of glass. Some tubes have colored glass. When they are turned off, they appear similar to colorful stained glass murals in a church. The stained glass colored tubes are very expensive and are hand drawn even to make the raw tubes. The other primary type of tube is white when turned off. These tubes have a phosphorus coating inside which turns argon gas to yellow, green, purple, white etc. Electricity excites the gas which then lights the phosphorus coating. The phosphorous coatings have different formulations generating different colors, so with hand made welds, a single tube can have many colors when lit. For example, multi colored neon sculptures are all one single tube, yet they may consist of different phosphorus sticks welded together and then bent over a long torch by hand. Every single tube is welded, and then bent by hand over a ribbon burner. Once the tubes are hand bent to the desired shape, the tubes are filled with either an argon/mercury mix, or pure neon gas. For the last step, electrodes are welded on the ends of the tubes and the raw bulbs are prepared to be filled with a noble gas by being cleaned with heat and electricity (30,000 volts). This is called bombardment. They are then attached to a vacuum pump, where all the air is sucked out of the tubes. When they are completely evacuated, the rare noble gasses are added and the tube is sealed. They are then "burned in" for 24 hours on a 12,000 volt transformer. They are then arranged, connected and mounted onto a metal grid. Finally, black paint is applied to finalize the artistic appearance of the sign. Neon signs are delicate works of art that have many separate tubes daisy chained together. When one bulb is broken or goes out, the whole sign stops working. This is because the electric current runs in a closed loop. Neon signs by definition are gas generating lamps. That is, there is no filament and the gas itself conducts the electricity and gives off the warm moving light. Sometimes neon wavers because it is the gas that is carrying the electricity and gas moves. Heavy wavering normally goes away in 2-3 weeks. If left alone on a wall and used intermittently they can last 20-30 even 50 years with no recharge. If left on 24/7 their life expectancy is 40,000 hours or 4 years. They are best when left alone, that is why it was the lighting of choice in Vegas for over 75 years. They operate best above 50 degrees Fahrenheit but can be stored down to -60 degrees Fahrenheit. Neonetics, Inc. will repair its neon products with new or rebuilt parts, free of charge, in the lower 48 contiguous states of the U.S.A. only, for 6 months from the date of original purchase in the event of a defect in materials or workmanship. Product must be shipped back to Neonetics for repair in original packing. Shipping charges for all returns fall into the responsibility of the customer. This warranty is extended only to the original purchaser. A purchase receipt or other proof of date of original purchase will be required before warranty performance is rendered. 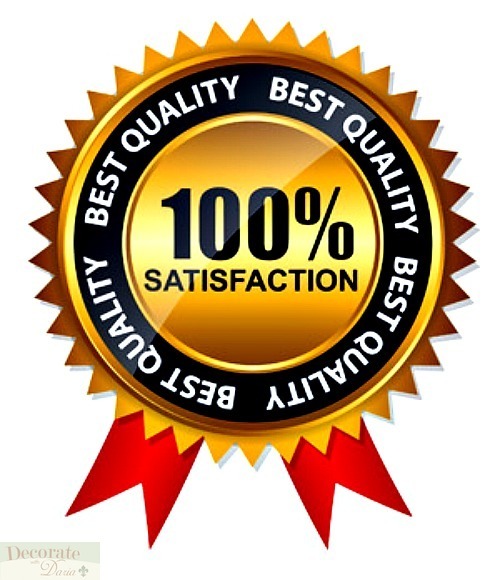 This warranty only covers failures due to defects in materials or workmanship which occur during normal use. It does not cover damage which occurs in shipment or failures which are caused by products not supplied by Neonetics or failures which result from accident, misuse, abuse, neglect, mishandling, misapplication, alteration, modification, or commercial use of the product, or service by anyone other than Neonetics, or damage that is attributable to acts of God. All shipping breakage must be reported to carrier within 7 days; claims must be made with carrier. All returns of first quality good (whether due to products refusal or return) are subject to a 25% restocking fee. Limits and Exclusions: There are no express warranties except as listed above. NEONETICS SHALL NOT BE LIABLE FOR INCIDENTAL OR CONSEQUENTIAL DAMAGES RESULTING FROM THE USE OF THIS PRODUCT, OR ARISING OUT OF ANY BREACH OF THIS WARRANTY OF MERCHANTABILITY AND FITNESS FOR A PARTICULAR PURPOSE, ARE LIMITED TO THE APPLICABLE WARRANTY PERIOD SET FORTH ABOVE. Some states do not allow the exclusion or limitations of incidental or consequential damages, or limitations on how long an implied warranty lasts, so the above exclusions or limitations may not apply to you. Brand New in original Factory Package, 1st Quality, NO seconds or customer returns! SHIPPING ONLY TO THE LOWER 48 STATES. Sorry, NO PO Boxes or APO's - NO Shipping to ALASKA, HAWAII, PR and USVI CUSTOMERS. Free FedEx Ground to Lower 48 States ONLY.